Think of a professional who has changed the history of IT for a second. If the person who came to your mind was Steve Jobs, Bill Gates or any other male name, it’s no wonder. Although the history of computing is marked by contributions from great women, such as Ada Lovelace, Grace Hopper, Sister Mary Kenneth Keller and Hedy Lamarr, women are still seen as if they played a secondary role in this market. According to Sheryl Sandberg’s Lean In book “Of the 195 independent countries in the world, only 17 are led by women. Women hold just 20% of seats in parliaments globally. Women became 50% of the college graduates in the United States in the early 1980s”. And yet, according to National Center for Women & Information Technology‘s report (NCWIT) in 2015, women held 57% of all professional occupations, yet they only held 25% of all IT jobs. And the numbers are even lower when we consider women of color, like Latinas or Black women, decreasing to 1% and 3% of these jobs respectively. We are in a user-centered design era. This should make people start paying more attention to gender questions, considering that everyone is a potential user and consumer. Yet, women are still largely absent on the IT industry, and this reality must change. This is not only a social matter anymore, it became a strategic business subject. According to IMF studies, significant macroeconomic gains happen when women are able to participate more fully in the labor market. Also, on 2015’s World Economic Forum, the president of IMF – Christine Lagarde – shared the idea that an organization needs to mirror its target customers. She said that 70% of the home products in US are bought by women, so the companies should have at least this proportion of women employees. Due to a culturally-inherently background, these are usually privileges of white men – and this needs to be changed. It’s important to notice that the sole action of hiring more women won’t necessarily imply in a sustainable environment. It’s really important to take the above mentioned steps in order to ensure they will stay – and feel welcome – at your company. If this is not done carefully, it might backfire future actions, leading to a bad company reputation and making it harder to engage with diverse talents in the long run. The successful path to diversification is already a reality for many enterprises. Lots of them are creating diversity and inclusion programs. They make employees – and most importantly: people – understand that these differences should not have a sit at the table anymore. Sodexo: The company has a global vice-president of diversity and this impacts directly on employees gains. 25% of the executives’ bonuses and 15% of the managers’ bonuses are associated with goals related to diversity and inclusion. More than 55k managers and employees are trained about it. Saint-Gobain: The competency model of the Saint-Gobain group has a very clear orientation towards diversity. It is a leadership-oriented competency that emphasizes the expected behavior of respect, openness and encouragement of diversity, fostering the ability to work effectively with people from different backgrounds and cultures. Hence, these leaders have the mission to turn this into concrete and practical behavior in everyday life. This is how a competency becomes a real thing: bringing meaning and results to employees. Leaders are endorsed to encourage diversity in the workplace, making sure that any form of diversity is addressed with respect. 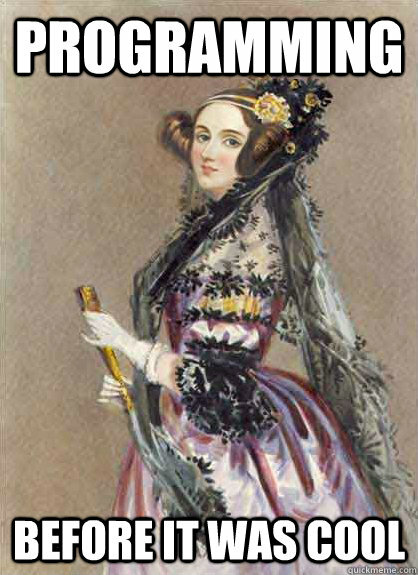 In 1843, Ada Lovelace translated the works of the mathematician Charles Babbage, who invented the first generic computer, called the Analytic Machine. Thus, she realized that the machine would be capable of much more things than its creator had imagined. The notes left by Ada in the text have more content than the translation itself: an algorithm that could cause the Analytical Machine to compute a series of complex numbers known as the Bernoulli numbers. In other words: Lovelace wrote the first computer program in the world. 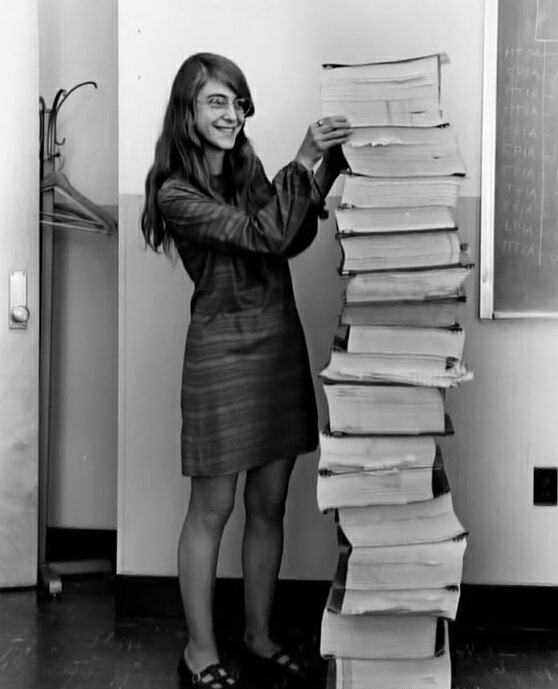 Margaret Heafield Hamilton is a computer scientist, software engineer, and businesswoman. She was the director of the Software Division at MIT’s Instrumentation Laboratory, which developed the flight program used in the Apollo 11 project, the first manned moon mission. At NASA, Hamilton’s team was responsible for leading the orientation software Apollo’s board, needed to navigate and land on the moon. Its variations were used on various missions, including Skylab. She is credited with having created the term “software engineering”. @jessfraz – Jess Frazelle is a Software Engineer at Google. She was previously a Software Engineer at Docker. She has served as a Maintainer of Docker, Contributor to Runc and Golang, as well as other projects. 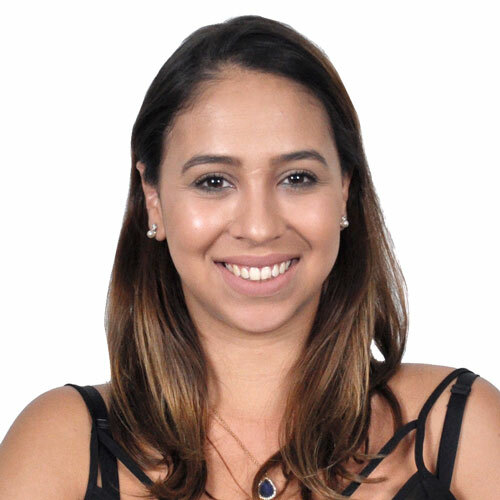 @leleportella – Leticia is an oceanographer and backend developer at Crave Food Services. She is also an active member of Python and Pyladies community and organizer of Django Girls Floripa and PythonBrasil. Those examples, from women and companies, show how important it is to invest in diversity and inclusion inside a company’s environment. This will not only reflect on well-being for employees – it will also have economic gains. Including diversity as part of the strategic plan is a good way to maximize results and make a company stand out in relevant subjects like innovation, motivation and leadership. Nothing is holding back women from going into IT. They are currently choosing to go into other fields. As technology is growing, more women will choose it naturally. Personally, as a woman, the constant agenda of feminism in your face is extremely annoying. We’re not incapable. We’re not children. Nothing is holding us back anymore legally and we have the same legal rights as men and same job opportunities as men. Does that mean we won’t encounter assholes along the way? No. But men have to face assholes, as well. We’re on equal footing. Stop making it look like we’re victims who need special treatment. Companies should hire based on skill and experience, not based on gender which is something we can’t even control when we’re born. It is extremely sexist to not hire someone who is skilled and has applied for a position based on the fact that they were born male. This marketing scheme to pander to the now-trendy “feminist” mindset is obvious and makes many women I know roll their eyes. What you’re proposing doesn’t resemble “equality” at all – you’re asking for privileges based on the fact that we were born women. Thank you for this comment. I just never understood this double standard, why aren’t we clamoring for more male cheerleaders or makeup artists? If you look at equality in society, for example Bangladesh vs. Norway, what you notice is the number of women in science and technology subjects actually goes down as societies get more equal because women simply don’t make the same choices that female academics and feminists would like them to. Women actually don’t want to go into the sciences on the whole and when they have every option available to them they tend to choose not to. I have to disagree. Firstly, comparing high-powered and high-paid IT jobs to make-up artists isn’t really fair. We aren’t clamouring for male cheerleaders or make-up artists because those are (generally) low paying careers (but also, who doesn’t want male cheerleaders??). Women aren’t lining up to be road workers or bouncers (traditionally male jobs) either. Secondly, I think your statement about women not wanting to go into sciences is waaaay too broad. Maybe in those countries (such as Norway), despite having better “gender equality”, there may still be societal conditioning on women causing them to choose other careers. ESPECIALLY if careers they are more comfortable in are paying more fairly AND you grew up in a society telling you what you were and weren’t capable of. Give gender equality another 20 years and see if your statement still holds true. I also don’t believe that feminists or female academics WANT women to choose to work traditionally male jobs… they just want them to be paid equally and to have the same choices laid out to them that men do and have done since forever. There are many statistics floating around that are being misconstrued in the media. It is up to the individual to dig further and verify the truth in the context that it’s being used. Do your research and find out for yourself, please. Many people just believe what they read in the media without digging deeper. How about citing information from a non-biased (read: neutral, NOT right-wing) source. It’s pretty much common knowledge over here in New Zealand that there is absolutely a gendered pay gap (and it’s backed up by pure statistics from Statistics New Zealand). I can’t speak for what it’s like in the U.S (would hazard a guess at, um, worse). Maybe in your case you were able to negotiate a better salary than your male co-worker, maybe you work for a progressive company, maybe you were raised to demand to be treated equally which is why you didn’t take the first wage you were offered but not all women are this fortunate. The reasons for the gender pay gap can be disputed, but cold hard statistics from unbiased sources can’t. EDIT: probs won’t read that article. Thomas Sowell writes about his information very objectively. I suppose you skipped over Christina Sommers, as well? She is does not have a right wing stance. She is a liberal. What other excuse for disregarding facts do you have? “Regardless of how you feel about his stance” – This tells me all I need to know about your point of view. You only see what you want to see. 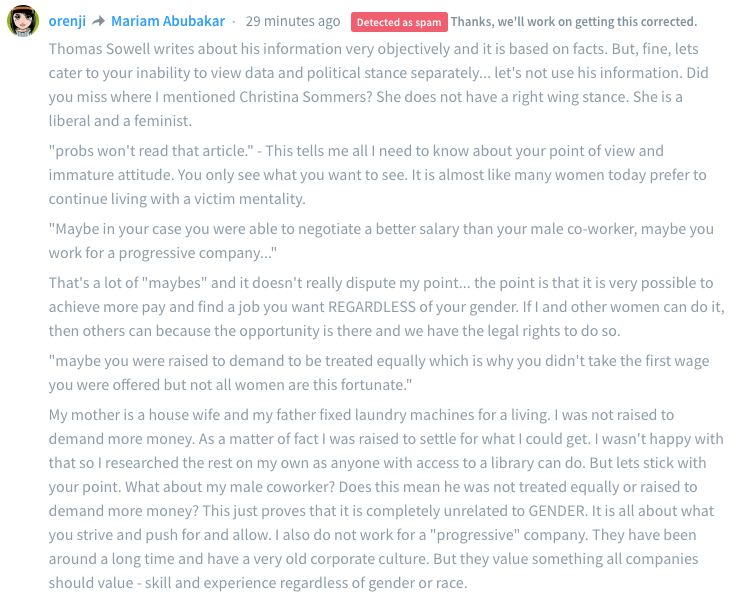 That’s a lot of “maybes” and it doesn’t really dispute my point… the point is that it is very possible to achieve more pay and find a job you want REGARDLESS of your gender. If I and other women can do it, then others can because the opportunity is there and we have the legal rights to do so. What other excuse do you want to throw? I edited my previous responses to include more detail.